No, you haven’t wandered into Westeros. The headline refers to Komodo dragons. 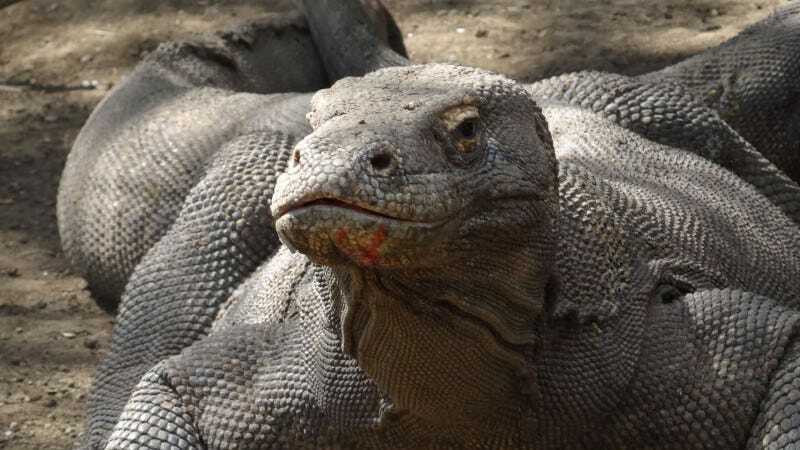 Researchers have tested a synthetic compound based on a molecule found in Komodo dragon blood that apparently kills bacteria which helps in healing wounds. According to a paper published today in Biofilms and Microbiomes, a peptide that mimics a molecule found in dragon blood may slay bacteria, helping wounds heal faster. Researchers tested the compound in mice with skin lesions, and found the dragon-derived treatment helped the wounds close up faster. If the treatment proves successful in human trials, it may one day provide a new weapon in the battle against antibiotic-resistant bacteria, which are starting to become deadly, as well as biofilms—tough clumps of bacteria that are often impervious to antibiotics. Of course there’s a long way to go from testing on mice to use on humans but it’s an interesting start.